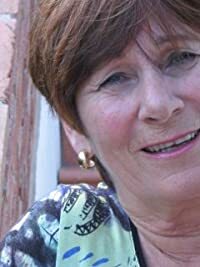 Joan Fallon was born in Scotland and after a career spanning teaching, lecturing and starting her own management and development company she moved to Málaga, Spain to become a writer. No stranger to tragedy, the loss of Joan’s seventeen year old son changed the course of her life. She writes about strong, interesting women who often times don’t realise how capable they are until they are tested. Joan has a passion for Spain and this is evident in her writing. Her first published work was a social history, Daughters of Spain, inspired by the women she met in her adopted home of Málaga. The research for Daughters of Spain encouraged her to write the following two novels: Spanish Lavender, which is set in Málaga during the early years of the Civil War and The House on the Beach, the story of two young women growing up in Franco’s Spain. A further two novels, Loving Harry and Santiago Tales have grown out of her experiences living and working in Spain. She now self-publishes her work as Scott Publishing. To date she has written seven novels aimed at the women’s commercial fiction market: A Family Affair, Love is All You Need, Between the Sierra and the Sea (published in 2011 and republished as Spanish Lavender in 2013), Loving Harry (2012), The House on the Beach (2012), The Only Blue Door (2013) and Santiago Tales (2013). Her latest novel, The Shining City, was self-published in 2014 under her own label Scott Publishing. Joan has also written Daughters of Spain, a non-fiction book based on authentic interviews with a number of Spanish women of all ages and from all walks of life; this was first published by in 2009 and a revised edition came out in 2014. Follow Joan at Twitter or on Facebook. Get Joan Fallon’s books from Amazon. If you’re a writer or author living in Spain and want to be featured get in touch.